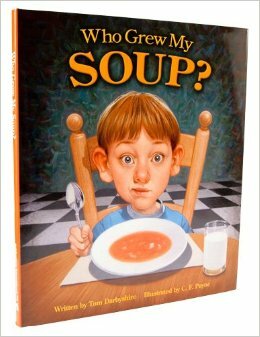 Who Grew My Soup, written by Tom Darbyshire,and underwritten by Campbell’s Soup Company, is a delightful little book that teaches kids where their veggies come from, and who grows them. 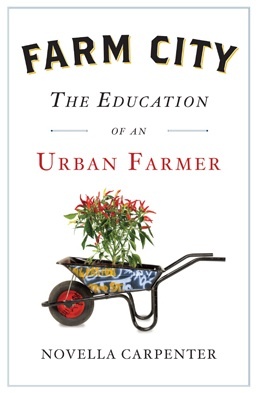 Farm City, by Novella Carpenter, is hilarious memoir of her exploits as an urban farmer…in the “ghetto” of Oakland. I thoroughly enjoyed her stories of raising bees, vegetables, chickens, rabbits, turkeys, and eventually even pigs in a run-down neighborhood by the freeway. From receiving mail-order chicks to seeing her pigs to their ends to finding her place within the neighborhood community, Novella’s enthusiasm for her animals and garden shines through. She makes you laugh, cry, and, most importantly, her story makes you want to run out and stick some seeds in the ground! ANGLE OF REPOSE, by Wallace Stegner, published in 1971 by Doubleday Books, winner of the Pulitzer Prize. The term, angle of repose, is an engineering term which describes the exact point or angle at which gravel will begin to roll downward, differentiating it from that point immediately before it, at which gravel will not roll down. This ficticious story is based on the letters of Mary Halloch Foote, which were eventually written in the book A Victorian Gentlewoman In the Far West. Her husband, Arthur Foote was the man behind the dream of developing the Boise River canal system; he spent 16 years on the project before having to give it up. This book is a fabulous read, and I highly recommend it to anyone who likes tales of engineering and construction, mining, the wild west or of early west development. Read the full report here. This is a comprehensive compilation of interviews with farmers from all over the U.S. who practice No-Till (also known as Direct Seed) Farming. It is well written, well laid out, and has good photos to accompany the interviews. Each of the farmers address situations and issues which are specific to their region, their farm and their land. While one farmer’s methods may not pertain to anothers, it is interesting to learn how farmers do things in different parts of the country. 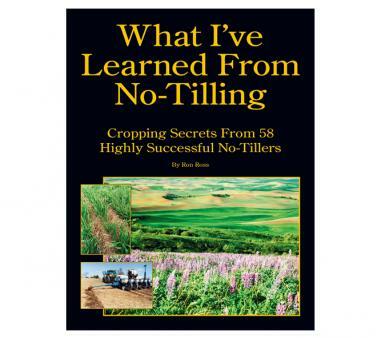 The entire book of all the interviews builds a broad resource for anyone who has already begun No-Tilling or who is interested in converting their operation to No-Till. After reading this book, a person will have real knowledge of this method of soil conservation farming, and will have practical information for different situations and issues on their own farm. The ideas shared by all these farmers about retaining soil moisture, erosion reduction, plant residue, planter adjustments, sprayer nozzles, light bars, fertilizer application and weed control are so practical, most every farmer will enjoy this book, whether he is a No-Tiller or Minimum-Tiller. 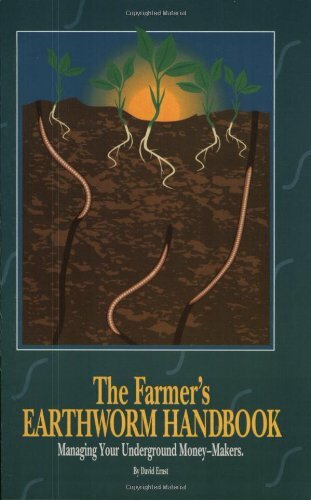 The Farmer’s Earthworm Handbook, Managing Your Underground Money-Makers, by David Ernst, Published by Lessiter Publications, 1995. Everything you always wanted to know about earthworms, but didn’t know who to ask, is all found in the 112 pages of this valuable handbook. This book is for the full-time farmer or the home gardener, or for anyone who wants to learn more about how our soil produces, how to make it healthier. This is a fine book, enjoyable, and a fast read. Vintage Farming Books – A great review by James R. Wylie of some vintage farming books published in the early 1900’s. These books were written just as big technological advances were being made in agriculture. Read these books, and others like them for a glimpse of how farming was 100 years ago! While many of our methods have changed, the philosophy and intent remain the same in many cases. They’re fascinating. 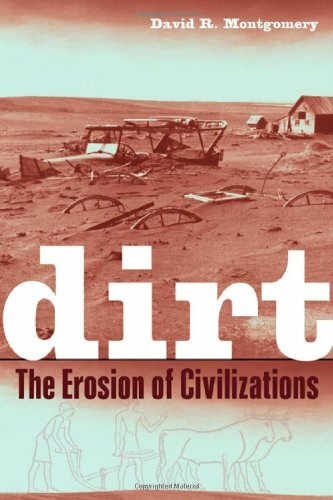 The author makes a case for the rise and fall of civilizations and of farmers, based on how they tended to their soil. Farmers take great care to learn from others, and especially, from the past. If you are a farmer who values and cares for his land, if you are a farmer’s friend or an urbanite, this book is for you. It is a quick and easy read. 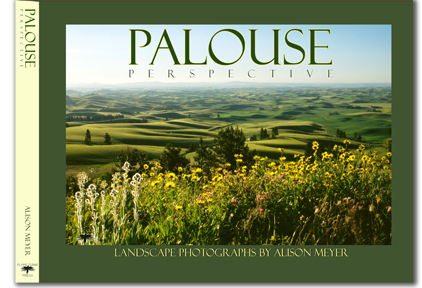 This is a gorgeous coffee table book, outstanding photography by Alison Meyer. It’s the most beautifully composed photography book of the region I’ve seen. The photos are representative of the region, and are especially creative in their compostion. Submitted 2/27/2013 by Robin W.L. This book has history, use, care of all varieties of cattle. 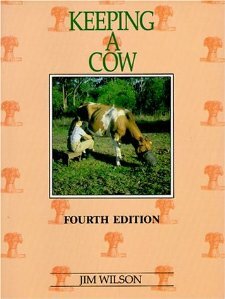 It is interesting, very well written, gives good descriptions of all aspects of the topic of the cow. The book addresses both beef cattle breeds and care, as well as dairy animals. It contains many sketches, diagrams, good photography and is an enjoyable to read. Posted 2/27/2013 by Robin W.L. 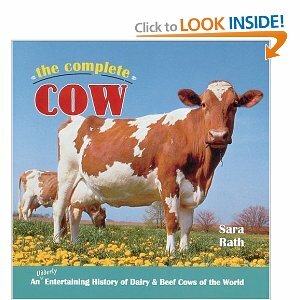 This is a fine, educational book for a person just beginning to keep cattle, either dairy or beef. It has detailed information from preparing the yards, barns, pasture, to purchasing an animal, feed and veterinary care, breeding, marketing and showing cattle. It has good descriptive illustrations, and is suitable for a young person. The book is published by the state of New South Wales, Australia. Submitted 3/19/2013 by Robin W.L. This magazine is published monthly, is an outstanding cutting-edge reference for direct-seed (no-till) farming. It includes tips, guidelines, equipment, testimonials from other farmers. Additionally, this magazine details resources from government as well a private sources for anyone interested in learning more about the cutting edge no-till method of farming. This is my favorite farming magazine. Every single month they discuss current topics, such as: planting, tillage, seed, equipment, harvest, land, buildings, risk, family farming concerns. It’s well written, well laid out, enjoyable to read, and super educational for farmers or those who want to improve their business and operation. Submitted 2/27/2013 by Robin W. L.
This is an excellent writing on the evolution of seeds, the discovery of old varieties, the benefits of new strains of seeds, and the loss of old varieties of plants and seeds. This is a comprehensive article discussing the problem of feeding the entire world on the amount of land which we have.